A stay in one of our castles for hire will make your holiday or event truly memorable and unique. Live like a king or queen and immerse yourself in the history, grandeur and elegance that can only come from a castle experience. Complete seclusion means you can focus on the people that mean the most to you, and share the good times that will inevitably come from your stay. Castles create a magical blend of home comforts with history, and offer breathtaking settings often in remote locations so you truly can escape from your hectic lifestyle. 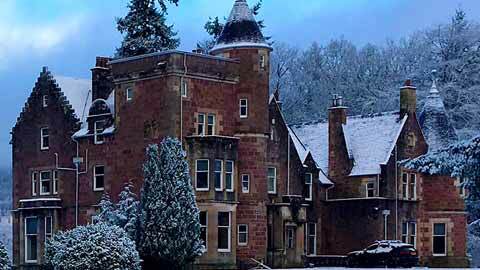 From romantic fairytale style castles with beautiful turrets to the imposing grandeur of a remote Scottish castle, it is difficult to imagine a more impressive venue for your guests than your very own castle. 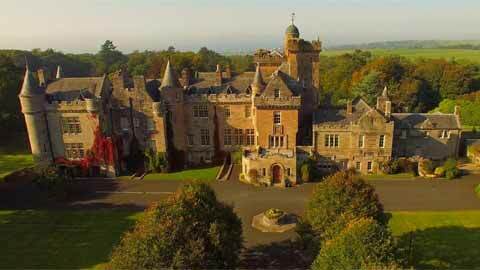 Ideal for every type of occasion from corporate events, private hospitality, film locations, weddings, short breaks or family holidays, rent a castle today for that once in a lifetime experience that will bring a smile to the faces of adults and children alike. Castles have existed in the UK since the Roman days, when castles were created as important defence structures against Saxon invasions. Although they fulfilled an important purpose in defending our shores, they were often built as a symbol of their owner’s wealth and status, and are some of the most impressive buildings to have been created throughout history. Many historic castles have fallen into disrepair over the years, and are popular tourist attractions with romantic ruins to explore. Of those that have survived the centuries, some have become part of the National Trust for tourists to visit and some have been made into hotels, however there are a select number of castles available for exclusive use hire in the UK, offering a the once in a lifetime opportunity of staying in castle as if it were your own home. 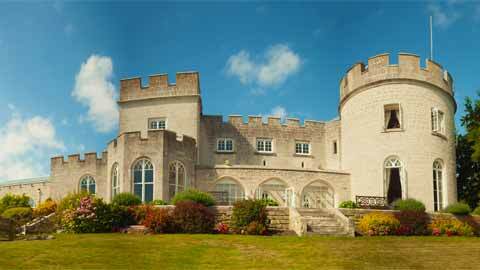 Castles are the ultimate luxury accommodation choice, playing host throughout history to aristocracy and the wealthy with opulent banquets and decadent parties. By renting a castle for hire, you can live like a king or queen in your very own castle complete with fairytale turrets and a moat with a drawbridge. Bedrooms feature beautiful four poster beds and the castle can be fully staffed with butlers, maids and waiters to ensure your stay is absolutely perfect. Castles for rent are the perfect choice for those looking for a stunning and unique venue for relaxing with your friends and family in ultimate luxury. They have after all been family homes for centuries, and provide a welcoming atmosphere in which to unwind. If you’d like to receive our monthly subscriber only offers and details of brand new properties please click this button. For as long as castles have been in existence, they have been used as venues for parties by their owners, who invited nobility and wealthy landowners to decadent feasts and banquets. The castles were seen as a symbol of their owner’s wealth, and were created with magnificent rooms and beautiful furnishings to impress visitors. 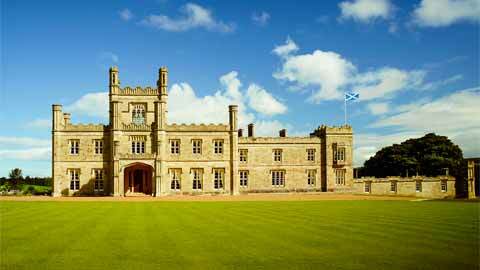 These beautiful venues are often in stunning settings, with extensive grounds and breathtaking rural views. A select few castles even have their own moat with a drawbridge, an entrance sure to wow even the most nonchalant of guests. The reception rooms in Castles are ideal for hosting large parties, with ballrooms and grand dining halls offering enough space for celebratory meals together. Castles also have the benefit of providing luxury accommodation for guests, with sumptuous four poster beds fit for a king or queen. A full complement of staff can also be arrange to ensure your party or event goes seamlessly, with entertainment options also available. 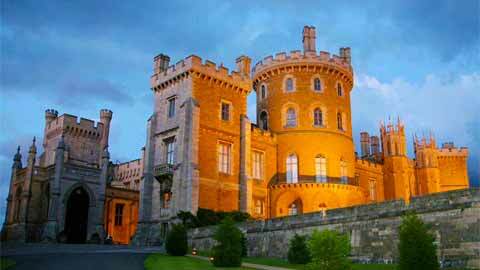 If you are looking for a unique luxury party venue then renting a castle for hire can be a dream come true. Your wedding venue should be as unique and special as you are, and plays an important part in your big day. 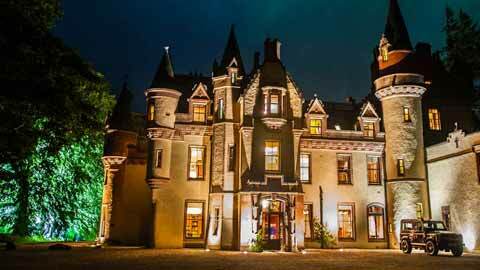 Having your wedding in a castle can be a truly magical experience, with fairytale turrets and beautiful surroundings. 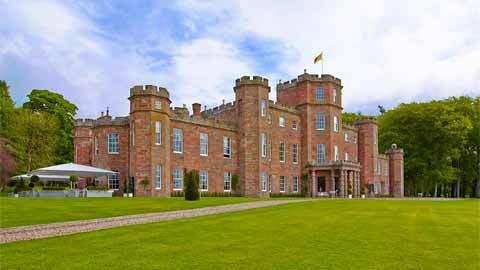 They can lend a real sense of occasion to your big day, with a property steeped in history and grandeur. Whether you are looking for a small and intimate reception for your closest friends and family or a large celebration with 250 guests, castles provide the ideal space in which to host your ceremony. Castles usually have stunning grounds, and many can accommodate marquees or when the weather is good, outdoor ceremonies. And if you’d rather have the ceremony inside a church, many castles for rent are located with a church close by due the historical nature of the property. Stunning bridal suites are the perfect place to spend your wedding night together, with further luxurious accommodation available for the wedding party, so you don’t need to worry about arranging taxis or leaving before the celebrations are over. Most castles for hire have tried and trusted suppliers to create bespoke wedding packages, ensuring peace of mind for the bride and groom and a truly memorable day for their guests.